The tang (NAKAGO) is the end of the blade opposite to the point which usually contains information regarding the date, signature of the maker, owner's name, school/village, result of cutting test etc. 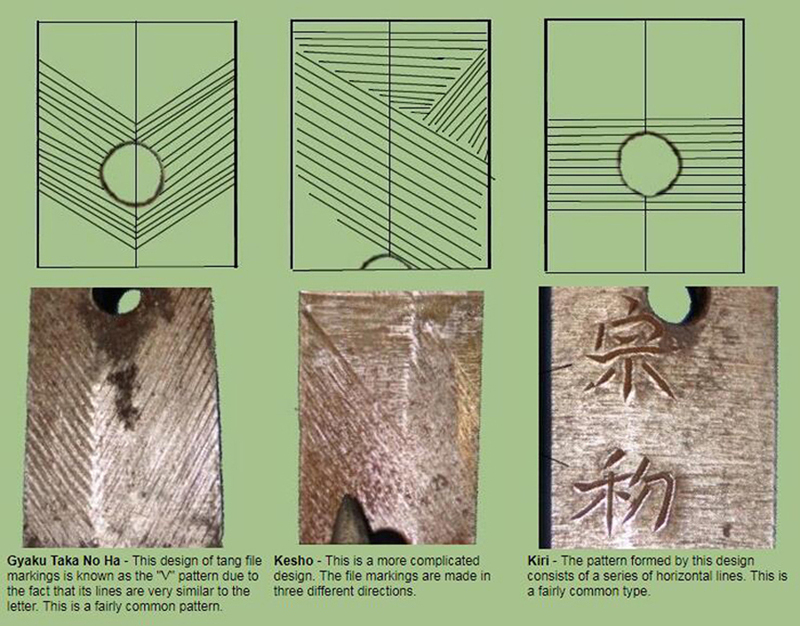 Another distinguishing factor on various Samurai sword tangs are the filing marks. 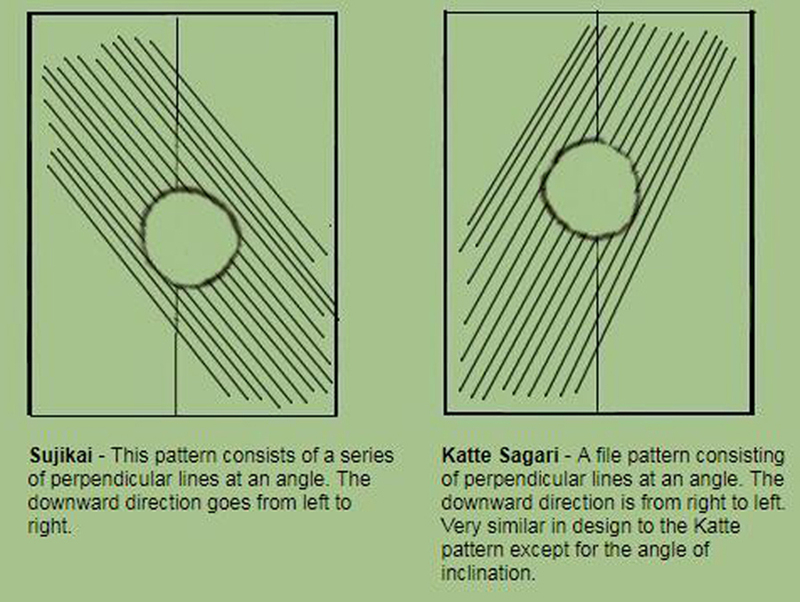 These consists of a series of straight lines that were applied by the swordsmith by using a file on the surface of the tang. 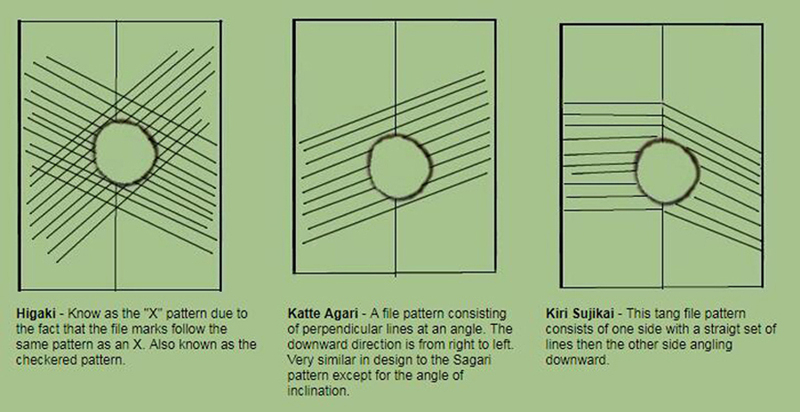 The Japanese term used to describe the markings is Yasurime. In 17th century, some decorative filing works on the tang were developed. Some smiths intentionally made beautiful looking filing marks on their tang. In some case, the filing mark is a factor to identify the smith. Each swordsmith had his own working styles on the tang.